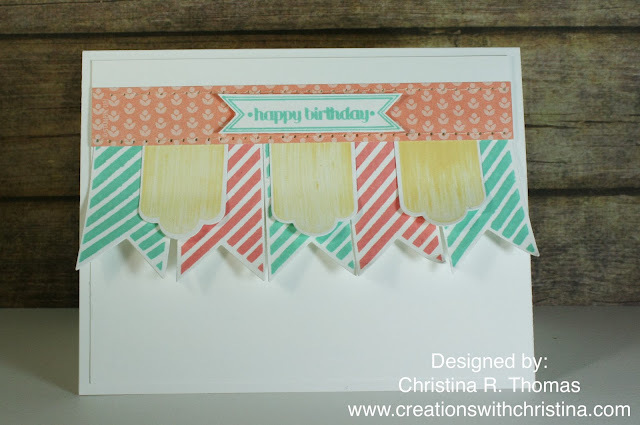 I hope you all had a great weekend :) Today's video is a card I made for one of my nieces for her birthday :) I used the Hearts A Flutter Stamp Set and Die Framelits. I had so much fun making this card, I decided to make two. One for my niece and one for my stash to have on hand. Here are the supplies used for today's card. Very cute card. I like that technique of wiping the piece across the ink pad. Adds a little something extra. TFS! That's a pretty card Christina. I never think about using that set except for Valentines. Thanks for reminding me it can be used all year. Very cute, the banner reminds me of an old-fashioned awning over an ice cream shop!